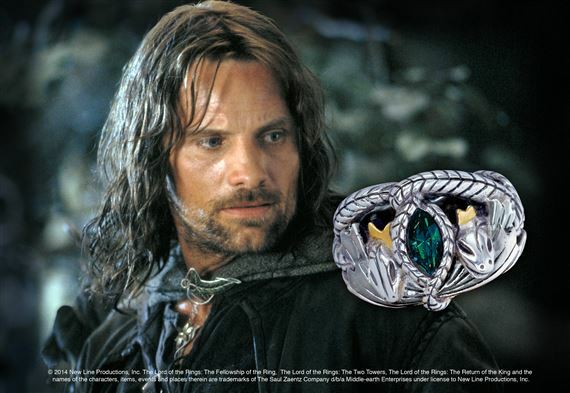 Known as the Ring of Barahir, it is worn by Aragorn in the film trilogy The Lord of the Rings™. Sterling silver, accented in gold and set with a green crystal. Comes complete with a rich wooden collector's box.